Some wonder if TASER devices will take down a large man while he is attempting to attack. 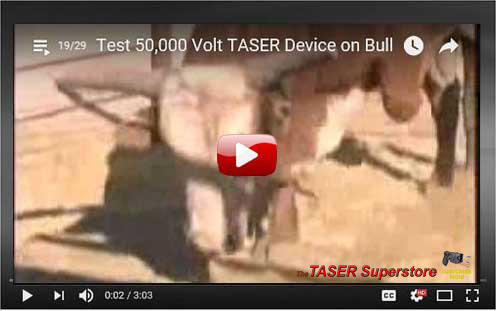 Watch as a TASER device drops this bull like a sack of potatoes! This video was originally generated for our sister website, Taser101.com. 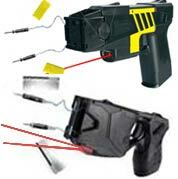 FAQ: Why the voltage of our direct contact stun guns is so much higher than TASER Devices?? The four 50,000 volt TASER models we sell, deliver a stronger shock than our higher voltage stun guns, being TASER products' wattage and amperage output is much higher. 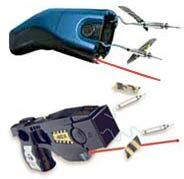 Though our higher voltage stun guns are effective in disabling assailants at close range (stun guns do not fire darts - the unit itself must touch assailant) , all TASER models have more take down power, and disable assailants from 15 feet away. Click here for more information!